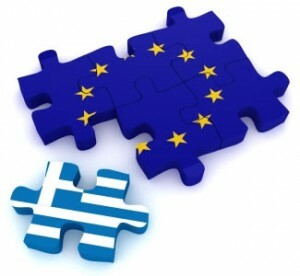 Greece under radical left: a start for EU reform? At breakfast on Sunday, 25 January 2015, I made a remark to the effect that it is the big day for the Greeks. My son made a passing response about his distaste for political extremism, be it on the left, or on the right of the political divide. He is 20 years old, a bachelor’s student of Social Work, passively but maybe inevitably interested in politics. Inevitably perhaps because he and his brother couldn’t possibly escape my constant political jabbing and therefore have to deal or contend with me. His comment reminded me of several Brookings Institute analyses that I have been reading in the last several weeks on the Greek elections. Following his comment, my boy and I had quite a chat, with his mum more or less as the perfect umpire. Shortly I shall let you into the outcome of the debate with him but allow me in the time being to let you into the thoughts that preoccupied the guys at Brookings. I am unsure if this is representative of a broad U.S. perspective, but the key question at Brookings seemed to be whether a radical left victory in Greece will reignite the euro crisis, producing recession in Europe and some level of financial instability and slower growth in the U.S. While they thought this is unlikely, they felt it is a possibility. They played with a number of scenarios but settled for the view that a Syriza (Greek radical left party) victory would be the worst possible outcome from the point of view of the rest of Europe. They added a prediction that there will be considerable turmoil in the months to come, though terrible outcomes will likely be avoided, ultimately. These thoughts and more shaped my mind as I set the Sunday breakfast table, invited my folks, took a place on the table and thought aloud by way of the remark I made that prompted the debate. I didn’t think that a Student Social Worker would be moved by the economic arguments surrounding Greece. I thought I might just demonstrate my point if I built my case around the wrong economic choices made, misplaced policy decisions taken, among others. These had resulted in an unprecedented humanitarian crisis in Greece. I illustrated the crisis with two examples: over 40% of young Greek graduates can’t find jobs. Those who were initially under-employed eventually joined the joblessness. The zeal to undertake higher education was very low amongst the teenage Greek sons and daughters. Those who managed to stay in school had to study, not with their reading table alight with electricity but with candles because a serious austerity measure meant that electricity supply became a luxury rather than a necessity. I thought I managed to make the case that the situation at present is exceptional and extraordinary. Mainstream, everyday solution and policies won’t do it. This I argued was the basis of my Sunday prayers that the radical left not only wins, but wins big. I smiled when my boy finally said he was convinced by my arguments. Now the results are in and my prayers, not the vision I saw in a dream, as some New Age Pastors will claim, have been answered. The radical left took 149 seats, just shy of the 151 they needed for an absolute majority. Within hours, they announced a coalition with the Independent Greeks, a right wing anti-austerity party, giving their government a clear majority. The question is how founded is the fear of the guys at Brookings Institute? Is the radical left victory a threat or opportunity for Greece and for Europe? My friend, Bart Staes, a three-term Member European Parliament, with whom I stood on the list in the May 2014 European Parliamentary elections, had released an unequivocal statement: ‘Syriza victory is an opportunity for robust Greek and European reforms’. I was also keen to know what my friend, an English Sociologist, based in Athens, whom I haven’t had contacts with in a while, thought about the situation in her adopted second home. She revealed that she reluctantly voted for the radical left. Reluctant because populism is not her cup of tea and she is curious to see if they can deliver. She, like many others were sick and tired of the old political ways. She’s reasonably confident about some able people with some experience who have joined the Syriza-led government. They do have the problem of the high expectations raised and pressures from supporters. She concluded that obviously the old system could not go further. She also struck a note between caution and optimism ‘maybe they will play poker very well with the other Europeans and win a large gamble that some politicians realise that the current system is not working for many in the EU especially in the Eurozone. My English sociologist friend in Athens wasn’t particularly bouncing up and down with joy but I am! I am because like Bart Staes, I see this as a new start for Greece by getting rid of the old school. Rather than the doomsday scenarios that some commentators have been painting, the victory of Syriza provides energy and optimism. Domestically one will hope that this wave of change will be the start of durable and robust reforms and greater social justice in Greece. The incontestable fact of the Greek election result is that the vast majority of Greek citizens want progress, are impatient in their desire for genuine political reform and therefore want to break with an outdated, crippled political system where the oligarchs have basically ran the country aground. Besides dismantling the ugly, capitalist fiscal and economic constructions of the oligarchy, that country has urgent need of fresh political ideas in the area of ​​sustainable economic development. Greece has enormous potential in terms of the generation of sustainable, renewable energy, sustainable agriculture and tourism. I guess that the yardstick with which the radical left success will be measured is their ability to end the current humanitarian crisis in Greece. This will unavoidably go hand-in-hand with renegotiating economic policies with the governments of other Eurozone countries, the World Bank, the International Monetary Fund and any other external forces whose conditionalities have meant that Greek men, women and children have lost human dignity and are dropping dead bit by bit. This is certainly an Herculean task but not an impossible one. I contested the European parliamentary seat in May 2014 under a strong reformist agenda. Little wonder that rather than calling a halt to the radical change as started on Sunday, 25 January 2015 in Athens, I can only hope that similar wind of electoral revolution also blows into Madrid as well as in Rome. This appears to be the surest way to get the core Eurozone countries to get serious about renegotiating the terms of the EU social and economic policies. Like I told my son at the Sunday breakfast table as the good people of Greece were going to the polls, the choice is between the far left and the far right. I hope that the established mainstream parties in Europe realise that the failure of Syriza through sabotage or other unholy means, is tantamount to handing victory to the far right. I know it is a dilemma, the prospect is unpleasant but it is also about making a choice. The Greeks made their choice on Sunday. Hopefully Europe will make theirs too because this is about reorganising for a better and fairer Europe. Posted on 5th February 2015 Tags austerity, Collins Nweke, economy, Greece, policy, Syriza2 Comments on Greece under radical left: a start for EU reform?